Hello and welcome to the official site for Samurai Trading and the home of the Elite Range Bar System. Over the coming weeks and months I will introduce you to an extremely powerful way of trading the forex markets. My goal is to give you not only systems, but also insight from my years of experience trading the markets in order to help take your trading to the next level. First, let me tell you a little bit about myself and why I've created Samurai Trading. To start with, I'm a trader. I don't spend all my time writing blog posts and sending out marketing materials - I trade instead. I've been trading for ten years now almost exclusively in the Forex markets. I started as a long term trader working off H4 and Daily charts but I always wanted to get into more active day trading. It took a number of months, but eventually I was trading M1, M5 and M15 with various methods I had developed in order to make my daily pips. After a while I started to see even greater potential in Forex and I began looking for new tools that could to take my trading to the next level. It was in my search that I began looking at things such as heiken-ashi, renko bars, and eventually range bars. Everything I had found and developed over the years had added something to my trading in some way (even if it was just knowing what didn't work), but nothing changed my trading as much as the discovery of range bars did. By eliminating the time factor and allowing me to focus entirely on price and its movement, I was able to approach the market in ways I had never even considered in the past. I had some lofty goals for my new range bar approach but the most important was that it would allow me to pull in big pips on a consistent daily basis. This meant something that would not only be easy to follow with clearly defined setups, but also something flexible enough that it would provide trades whether the market was ranging, trending, or just putting in some big swings back and forth. In time I put together the Elite Range Bar System that fulfilled those goals and I've never looked back. So why open the Samurai Trading website? Well, over the past few years while developing and trading the Elite Range Bar System, I've seen some great successes. Most of these people were involved in the development process in one way or another but all found various aspects of the system to be hugely beneficial to their own trading. That was great for our small group but it was only in the past couple years or so that I've really started to share and teach some of my tricks of the Forex trade. I'm a private person in general (as most traders are), and so it wasn't until someone I knew personally asked me to teach them how I trade that I first shared some of what I use in the markets. Not only did they find a lot of success, but it also caused a couple more people to ask me about the same thing. After a couple rounds of this I decided it was best to put together some materials to improve the learning process which turned into the beginnings of the Elite Range Bar System. After thinking about it long and hard, I finally came to the conclusion that I should offer up the same learning opportunity to strangers as well. After all, I was a beginner once and so I know how hard it can be to find quality learning materials when it comes to trading Forex. Some people say that you shouldn't share what you know as it will hurt your "edge". I don't believe that for a second. The Forex market moves trillions of dollars. It hardly cares what the small in comparison retail trader does. Good trading in Forex means being a little fish and just following the signs of the big players to join on the waves they create. Adding some more smart little fish who are making money certainly isn't going to hurt me when there's a whole ocean out there to play in. So that's why I made this site - to share, to teach, and even to learn from my fellow traders. 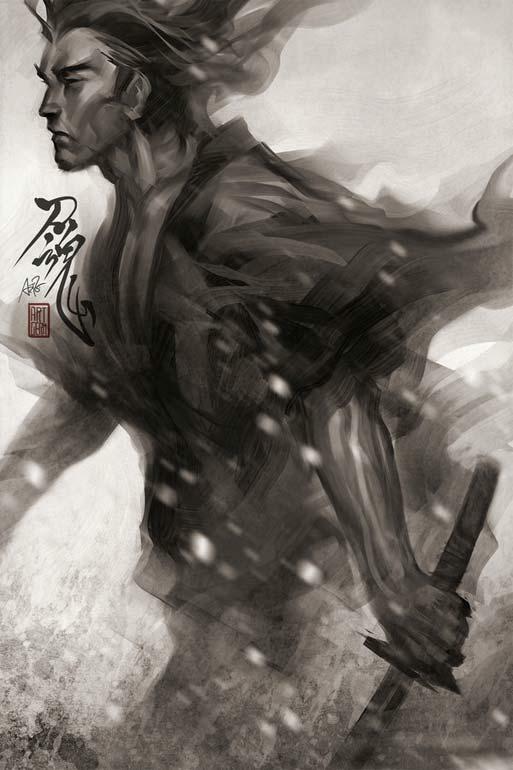 In the end I'm still the same person though - The Samurai Trader - who is a trader first and everything else second. So if you want to learn about actual trading and how it's done day after day rather than just sifting through the nonsense on forums or taking courses that cover the exact same material over and over, then I hope Samurai Trading and the Elite Range Bar System is for you. Thanks and enjoy the site!